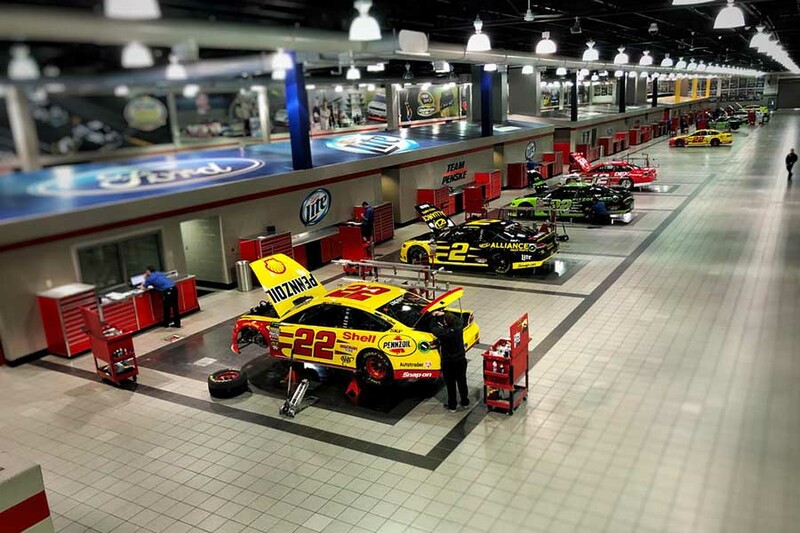 Penske Racing’s state-of-the-art facility houses their NASCAR teams as well as the Indy Car and ALMS teams. Fans can view the NASCAR race shop through the viewing windows and then move upstairs to the 330-foot fan walk to view the race shop including the NASCAR truck bay, set up plates and work stations as employees prepare the race cars. Fans may even catch a view of their favorite driver as he walks through the shop.